We know incredible ideas and amazing teams need a lot more than just an accelerator program. We invest in teams in gates through our global accelerator programs & write follow-on cheques to teams that showcase exceptional progress on jointly defined KPI’s. We run our own fund & partner with a number of private and public sector VC’s who are looking to get access to high quality deal flow. We also invest in select deals outside of our accelerator programs that meet our criteria. Artesian Capital is an alternative investment manager with offices in Sydney, Melbourne, New York, London, Singapore and Shanghai and focuses on fixed income and venture capital funds. Artesian manages over US$250M in Australian and China based early-stage companies, partnering with accelerators, incubators, university programs and angel groups. IoT & Connected Hardware: Four-month program and US$100,000USD per team across two cohorts a year for 8–13% equity. Drones & Robotics: Four-month program and US$70,000USD per team across two cohorts a year for 8–13% equity. Food tech: Four-month program and US$80,000USD per team across two cohorts a year for 10–15% equity. In addition to seed round investments, Artesian takes pro-rata rights to invest additional capital at later funding rounds for teams showing material traction and external validation. Four-month program and USD$25,000 to USD$60,000 per team across two cohorts a year for 8–13% equity. Poland Prize is the first Polish program aimed to attract foreign startups. As part of the pilot program, Polish Agency for Enterprise Development (PARP) has selected operators who proved the most experience in cooperation with foreign startups. Their tasks will include scouting, assessment whether a particular idea has a chance to commercialize and accelerate talents. Four-month program and USD$65,000 per team across two cohorts a year. In a round led by PFR Ventures, joined by Group One, we have raised a $15 Million fund to invest into innovative, early-stage technology startups building IoT and hardware businesses. With our fund, Arkley Brinc VC, we aim to provide venture capital and acceleration for connected hardware and IoT startups. On top of investing capital, we offer over a decade of first-hand experience in business and product development, with a network that reaches deep into Silicon Valley and China’s Greater Bay region. 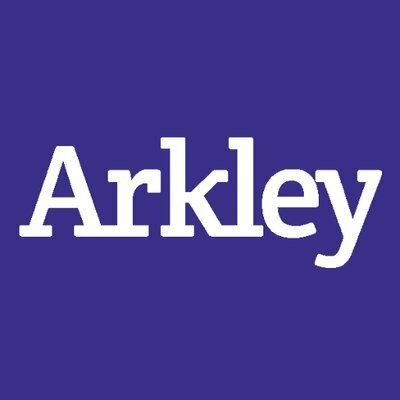 Arkley is an Accelerator VC that focuses on early-stage hardware startups to help them grow from prototype to IPO. They help startups validate their products, connect them with distributors, and introduce them to partners in Silicon Valley. In a previous Arkley fund, the company invested 1M USD in five startups, all of which managed to successfully raise follow-on rounds of 6,3M USD in total. Among these startups, four founders were selected as Best Founders by Forbes, proving the fund’s astute market instinct. For more information, please visit http://arkley.ventures/. Group One provides clients with integrated strategic, creative, media and technological services both in online and offline channels. The group consist of media agencies, with leading Value Media, two full-service creative agencies, e-commerce performance agency and a content agency. The group employs over 350 specialists, supporting each other while building leading brands on the market. PFR Ventures is an entity managing a fund of funds, providing financing via VC funds and groups of business angels for innovative SMEs at a different stage of development. PFR Starter FIZ is the program addressed to innovative companies at their earliest stage of development. For more information, please visit https://pfrventures.pl/en/.